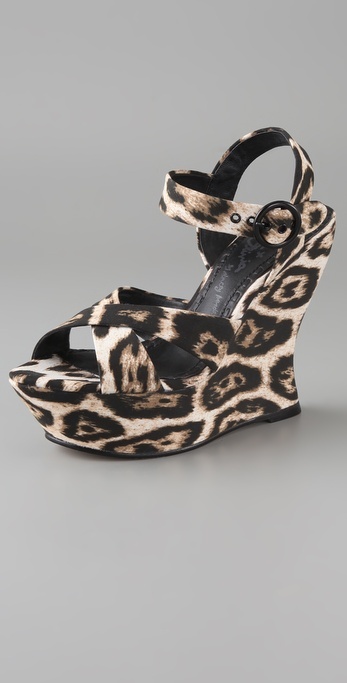 Today's So Shoe Me is the Juliet Platform Wedge Sandals by Alice + Olivia, $245, available at Shopbop. There has been an immense amount of excitement and anticipation around the new Alice + Olivia footwear line and the brand known for its flirty cocktail dresses and sophisticated on trend separates did not disappoint the shoe freaks. 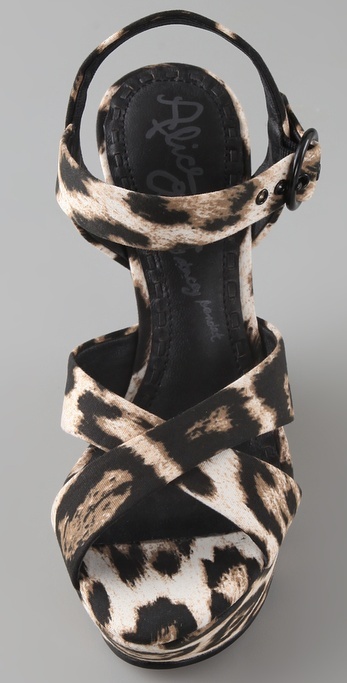 Just look at the animal print Juliet wedge, perfect for strutting along the concrete jungle. 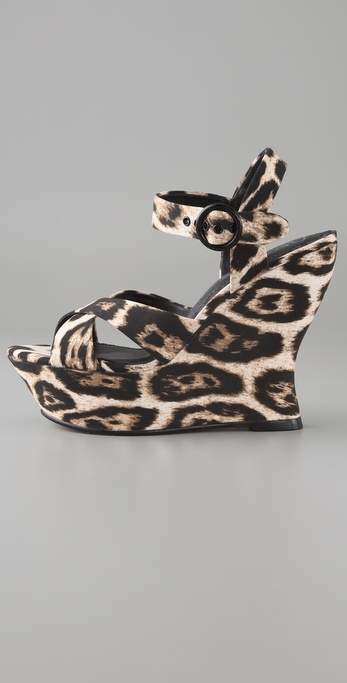 The uber tall sculpted platform wedge brings serves some serious attitude, while the neutral leopard print can mix with anything, making this the perfect sandal to invest in this season. Pair these super chic sandals with a simple coral shift dress and a chunky collar necklace to look classic yet super stylish this spring. So Shoe Me a pair of the perfect animal print wedged that will add a fresh neutral detail and become a restrained pop to any outfit.